I know that you, girls, have lots and lots of jewelry just like me. 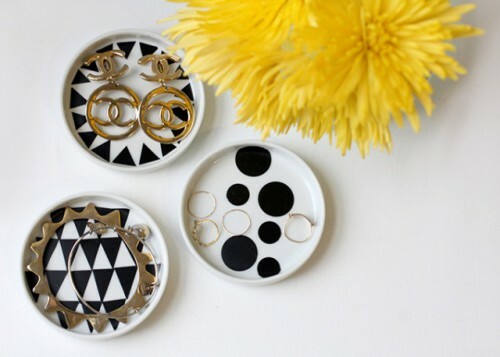 It’s time to make a pretty and stylish storage for your favorite accessories! 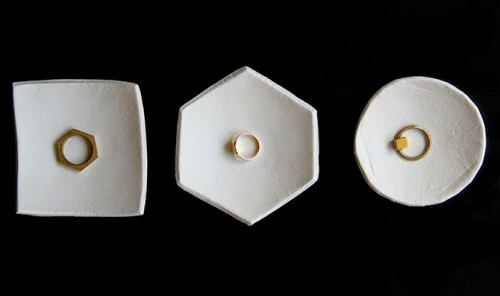 Continuing the theme of geo pieces, I’ve prepared a bunch of tutorials of geometric jewelry storage items. 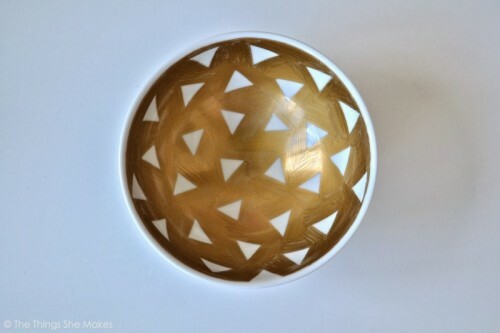 The easiest idea is to take or make a simple dish and then paint or use a sharpie to create a super cool geometric design. 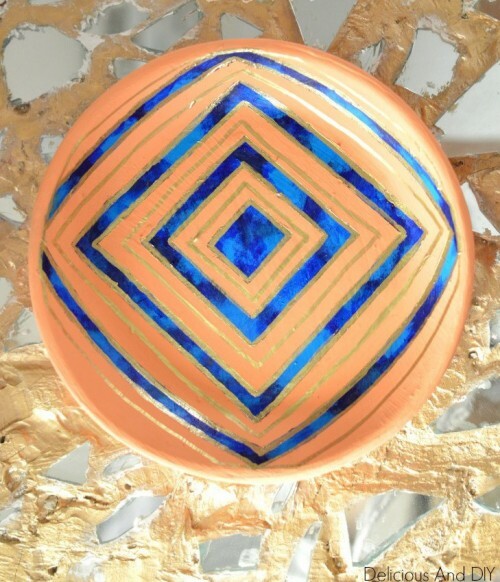 Another way is to take some clay or concrete and create an original geo shape for your dish, and then add geo patterns with paints. 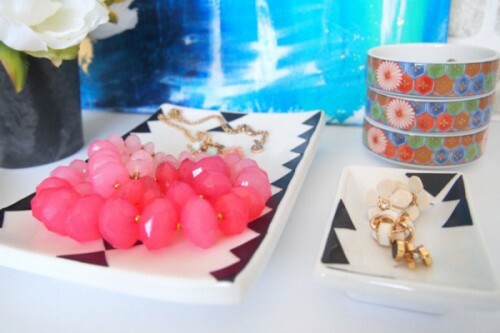 Read the tutorials below and make some pretty dish for your jewelry!